Hubbleton Brewing Company sign along Hubbleton Road. 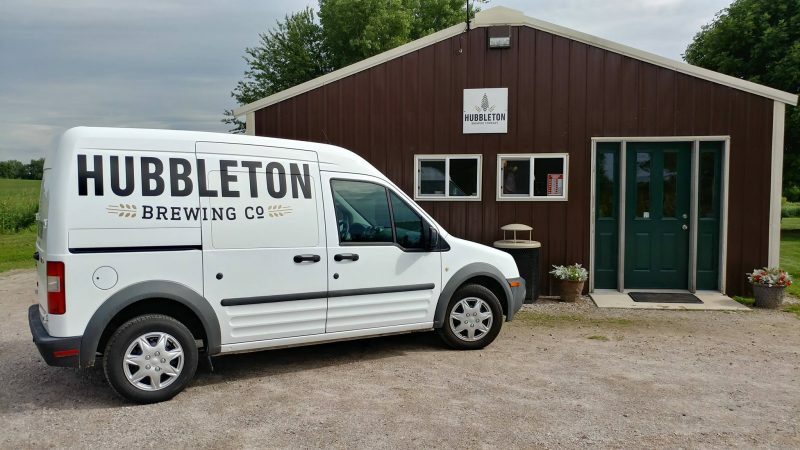 Between Waterloo and Watertown in the Town of Portland, at the end of a long driveway, you’ll find Hubbleton Brewing Company. Trust me, few just happen to stumble across it as they wander! 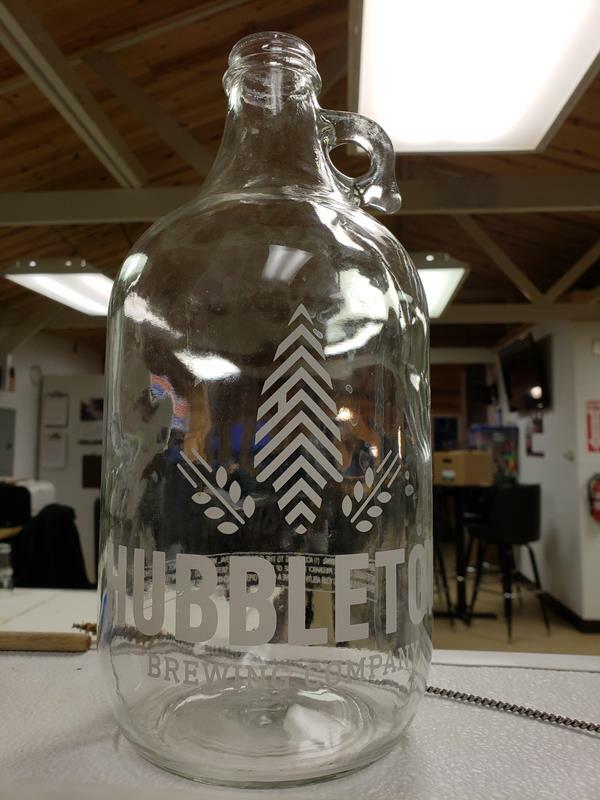 Hubbleton Brewing, like many of Wisconsin’s more recent craft breweries, arose out of successful home brewing. Dan Schey co-founded the brewery with his son, Michael. It’s definitely a family business, but the extended family is drawing in a growing legion of folks who drive the rural roads off Highway 19 to get there. 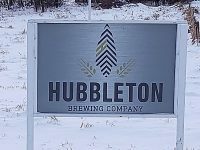 Tucked away in the midst of farmland, trees, and an active hop garden they use for their beers, Hubbleton Brewing Company has a sign out front about Hubbleton Road. That’s the only indication from the street, because the Tap Room and brewery requires a drive of about 400 yards up what at times feels like a long residential driveway. Indeed, the Schey’s house is to the right as you pull in – which makes for a nice commute. But the Tap Room itself is right at the end, and there’s room for parking and often a friendly greeting from their dog Murphy awaits. Hubbleton Brewing’s brewery and tap room in 2018. They’re working on a new tap room literally within a stone’s throw; construction begins in 2019. The property, which is the Schey family farm and residence, also includes a three-acre hop farm. The hops are used in their beers and are also sold through a collective called Arrowhead Hops; founder and master brewer Dan Schey was also founder and first president of the Wisconsin Hop Exchange, which manages the hops of more than 65 growers in southern and central Wisconsin. The brewery itself is behind the tasting area. 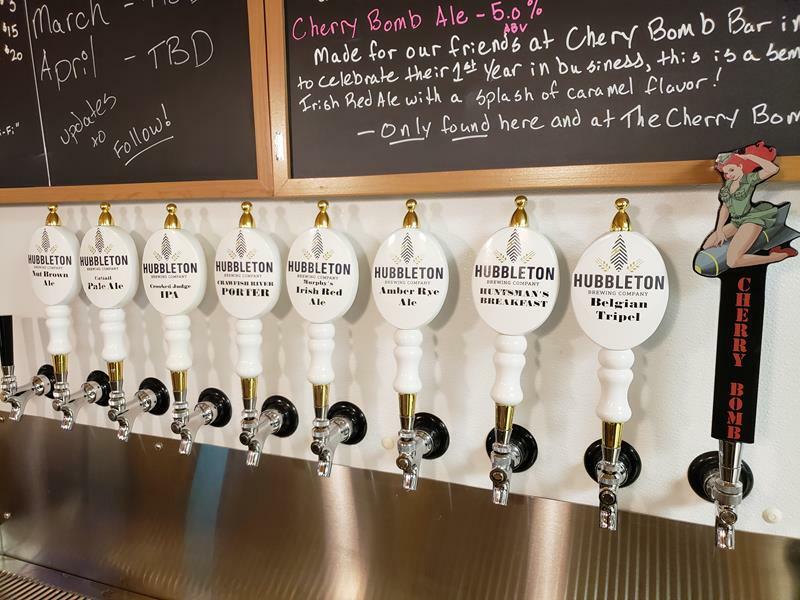 Hubbleton Brewing uses a 3-barrel system and plans to expand to 10, especially as they break ground on their new, larger space later this year. Tours, which don’t take long, are available on Saturdays and upon request, as Dan will proudly show you their layout. His son Michael handles a lot of sales and marketing and is a big part of the reason you can start finding Hubbleton’s beers in 12-oz. bottles in bars and some liquor stores around Waterloo, Watertown, and more areas around Milwaukee and Madison. They hope for additional expansion as their popularity grows. 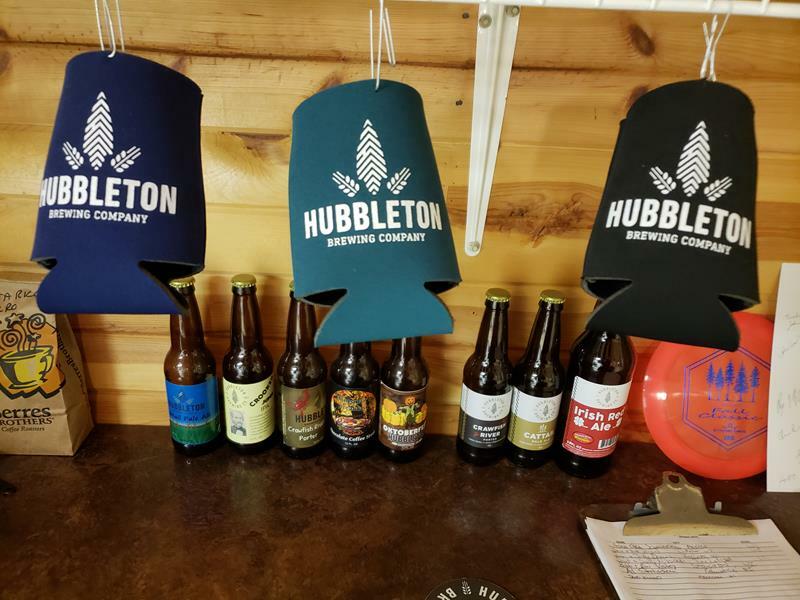 Hubbleton Brewing Company beers include their Crawfish River Porter, names for the river winding around nearby; the “Crooked Judge” IPA, named for one of Wisconsin’s first judges who was – as its name implies – crooked. He was impeached in 1848. They also offer their Cattail Pale Ale, two IPAs including one called Fred the Moose, and an Imperial stout called Huntsman’s Breakfast. And of course there are more, especially as Hubbleton keeps coming up with more. 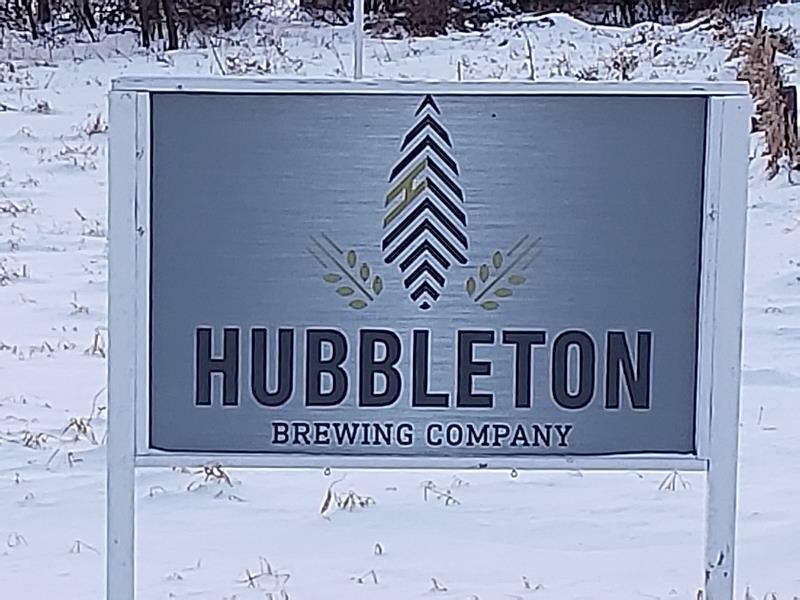 You’ll find Hubbleton Brewing Company just north of Highway 19 in Dodge County between Waterloo and Watertown; just follow County BB north and then head east on Hubbleton Road. The sign for the brewery will become visible shortly; just head up the driveway past the hop farm. When you reach the end, you’ll see the Schey house to the right, and the brewery and tap room straight ahead. Just park and get ready to enjoy!